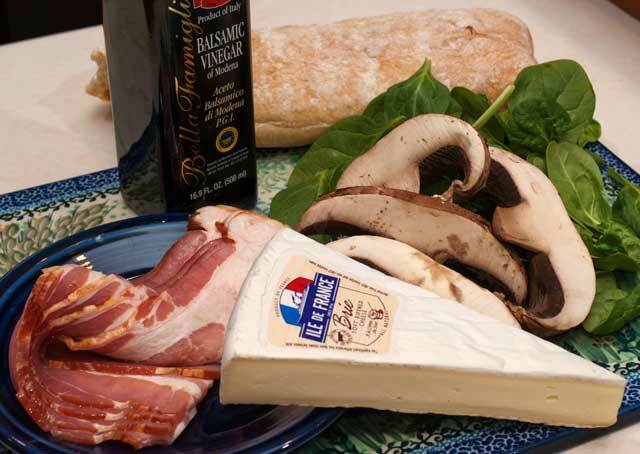 Cooked bread and cheese can be found in many cultures. 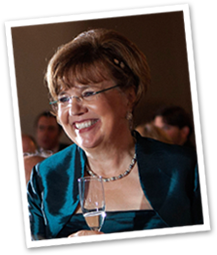 It takes the form of croque- monsieur and croque- madame in France, “toasties” in London, Welsh rarebit in the United Kingdom and toasted or grilled cheese in the United States. Grilled cheese became very popular in the United States in the 1920’s due to the production of inexpensive white bread and the processed cheese known as American cheese. The Panini press has caused a resurgence in the grilled cheese sandwich. However, today you will not find the sandwich you ate as a child. The sophisticated flavor combinations are amazing. 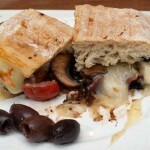 Recently, I went to the Ilium Café in Troy, New York and on the menu was a toasted brie and bacon sandwich. It was so delicious that I wanted to share it on the blog. 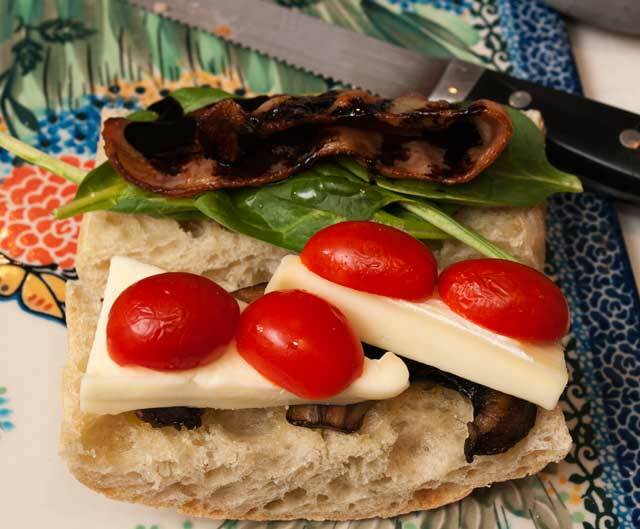 The sandwich had a balsamic reduction on top of the bacon; and since I love portabella mushrooms with a balsamic glaze, I decided to add that to the sandwich. It made it more substantial for a dinner sandwich. When I cook bacon I use a cookie sheet that has a cake rack placed on it. This way there are no grease spatters to clean off the stove top. With that said, cook the bacon in a preheated 400 degree oven for 15-18 minutes. If you like it crispier, feel free to cook it longer. Next place a small amount of olive oil in a frying pan. 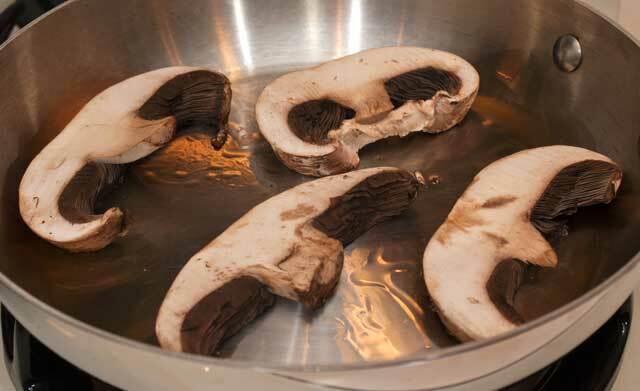 Saute mushrooms until they are golden brown. 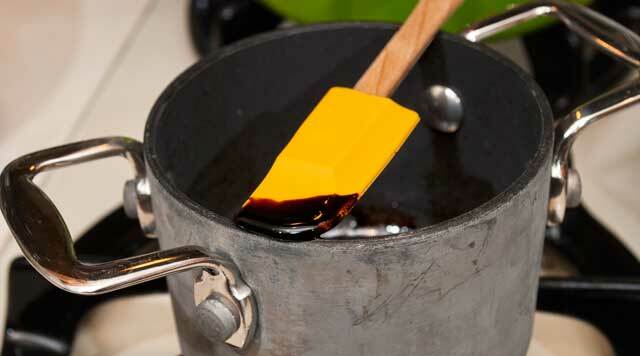 To make the balsamic reduction, put balsamic vinegar in a pan and bring it to a boil over medium high heat. 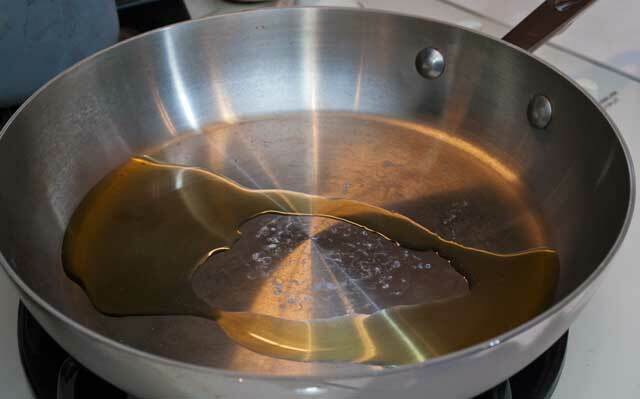 Cook until it becomes syrupy. It takes about 5 to 10 minutes depending on how much vinegar you start with. 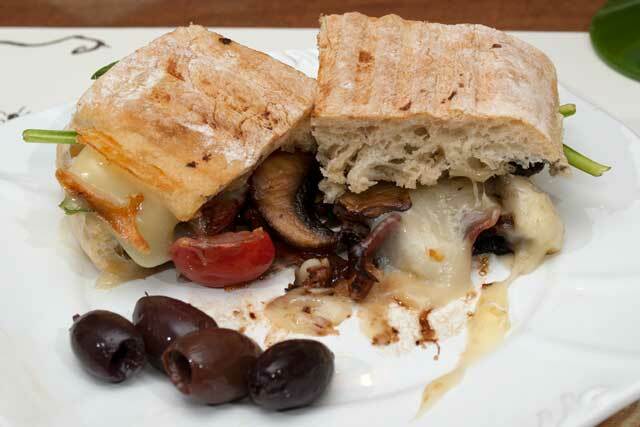 I chose a crusty ciabatta bread; but you can use whatever is appealing to you. Brush a little olive oil on both sides of the bread. On one side, layer the mushrooms, the cheese and the sliced cherry tomatoes. On the other side, layer the fresh spinach and the bacon. Then drizzle on the balsamic reduction. Place the two halves together and grill using a Panini press or a frying pan. When you cut the sandwich in half the melted cheese just oozes out. Delicious. Gather the ingredients. 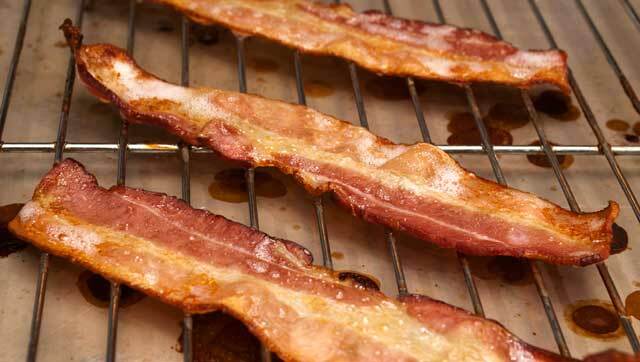 When I cook bacon I use a cookie sheet that has a cake rack placed on it. This way there are no grease spatters to clean off the stove top. With that said, cook the bacon in a preheated 400 degree oven for 15-18 minutes. If you like it crispier, feel free to cook it longer. Next place a small amount of olive oil in a frying pan. 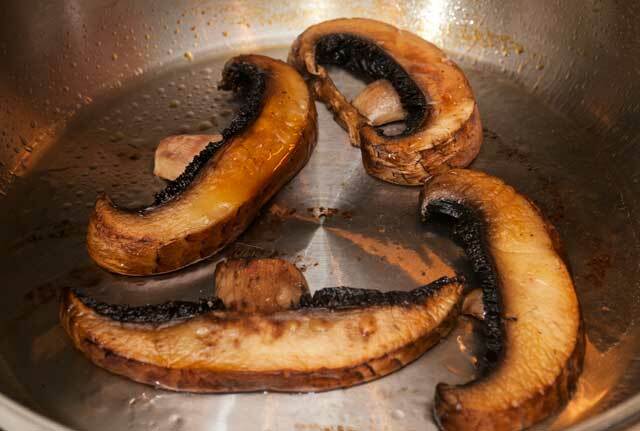 Saute mushrooms until they are golden brown. Assemble the sandwich: I chose a crusty ciabatta bread; but you can use whatever is appealing to you. Brush a little olive oil on both sides of the bread. On one side, layer the mushrooms, the cheese and the sliced cherry tomatoes. On the other side, layer the fresh spinach and the bacon. Then drizzle on the balsamic reduction. When you cut the sandwich in half the melted cheese just oozes out. Delicious. Enjoy!